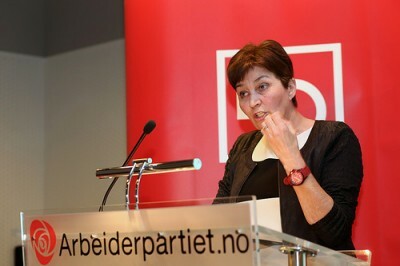 The leader of Norway’s largest trade union confederation, LO, wants to do away with the country’s “au pair” system that’s intended to be a cultural exchange program. Most au pair, however, are young women from abroad, and LO’s Gerd Kristiansen claims the system allows for their exploitation by host families who expect them to work in their families’ homes as maids and babysitters at very low pay. Kristiansen points out that Norway’s au pair program is aimed at giving its participants a chance to learn Norwegian and gain insight into Norwegian culture. Au pair live with host families who are supposed to cover their living expenses, pay for Norwegian lessons and offer a small income in return for a maximum of 30 hours a week of housework. Kristiansen is disturbed by ongoing stories in local media about how au pair, the vast majority of whom come to Norway from the Philippines, often are put to work performing household tasks that are not part of the au pair program. Many have reported being required to work long days (in one case, more than 90 hours a week) and also have been subjected to assault in the worst cases. Many feel they have no recourse, and suffer in silence in return for the badly needed income they receive and send home to their families. The Philippines Embassy in Oslo has long experience in dealing with cases of exploitation of Filipina au pair in Norway, as does Norwegian People’s Aid (Norsk folkehjelp), the humanitarian organization that set up its Au Pair Center in Oslo in response to all the cases of abuse. Norwegian authorities have tightened regulation of the au pair program, but Kristiansen worries the efforts to help au pair haven’t been effective enough in stopping the abuse of the system. Newspaper Dagens Næringsliv (DN) reported recently that only five Norwegian couples found guilty of exploitation of au pair living in their homes have been charged with abusing the system since the tighter regulation was introduced two years ago. Their punishment amounted to them being placed in quarantine that forbid them from acquiring new au pair for a period of time.